3-Day Sale @ KCC Malls starts today! 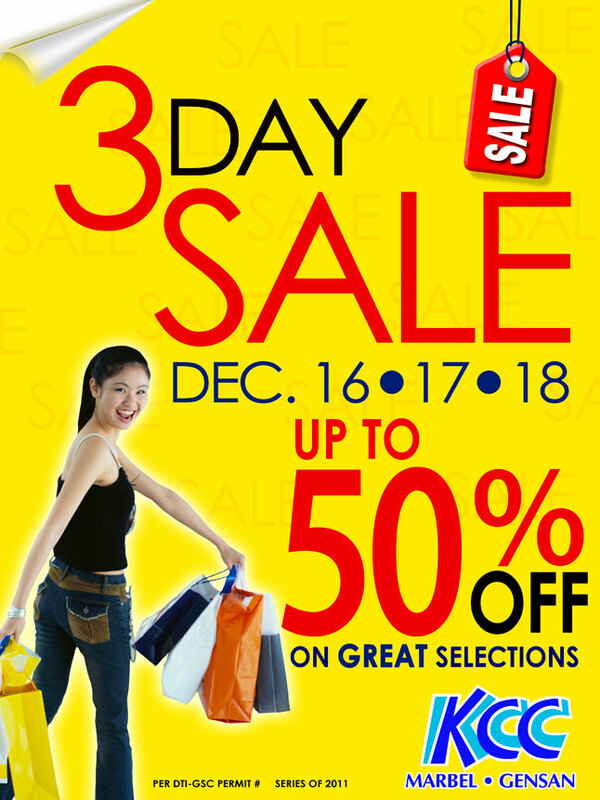 Good news just keep on coming this holiday season as KCC Malls the leading shopping destinations in Region 12 once again offers 3-DAY SALE! Get up to 50% OFF on great finds mallwide starting today- December 16 up to December 18, 2011! Now is the time to get what you really wanted for Christmas and the upcoming New Year's day celebration, get and buy all the stuffs that you haven't bought yet at discounted prices. Do your list, and make your way to KCC Mall in Koronadal City or at KCC Mall of Gensan. Enjoy shopping and wishing you all a Merry Christmas and a peaceful New Year!